Good news from DC today. 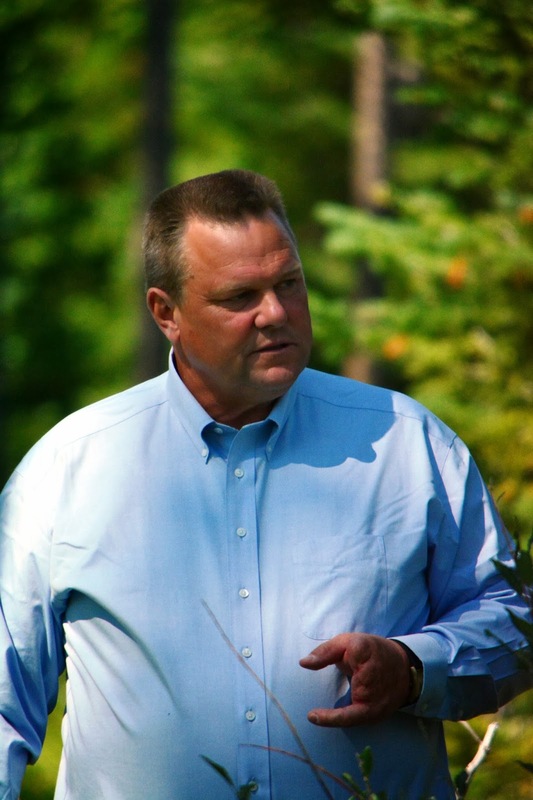 Senator Jon Tester's Forest Jobs & Recreation Act passed out of the Senate Energy & Natural Resources Committee. That's good news for Montana and very good news if you're an elk in Region 3. Improve elk and trout habitat by mandating the Forest Service roll up old roads that fragment otherwise secure elk habitat & remove old culverts and other bad ideas that stop fish passage. Both of these activities will increase abundance of wildlife of all species over the long term. Increase the amount of people in the woods earning a paycheck through sustainable logging practices, forest restoration and saw logs for local mills based on boots on the ground that know the country and wildlife advocates who want to ensure a forest system full of elk, deer, bears & even squirrels. Add over 600,000 acres of Wilderness from Libby to Dillon protecting some our best high country fishing & elk hunting opportunities. Wilderness in Montana is only place you can hunt bull elk in the rut with a rifle on a general tag. Those backcountry hunts are the stuff of legends. New additions to the Wilderness complex just mean that kind of opportunity can be expanded, rather than retracted. That's a damn good thing. To be sure, critics will continue to call FJRA a sell out to one side or another depending on their bent. Controversy never fades when it comes to Forest Management, but the reality is this: Compromise, Collaboration & Common Sense are better ways to manage forests than protracted legal battles over small technicalities in the Federal Code. 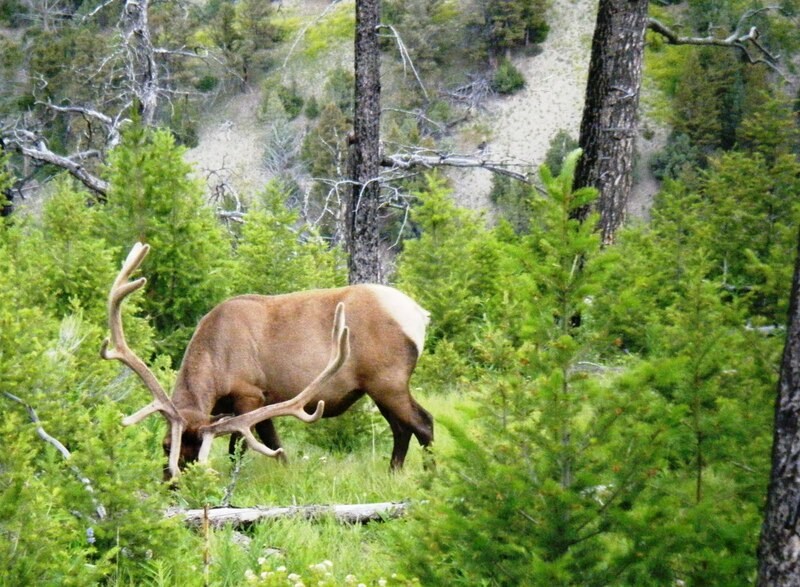 New wilderness is good for wildlife and hunters and anglers over public lands criss-crossed with illegal trails & roads, driving elk farther into the dark timber and creating silted, un-productive streams. Every elk hunter knows that outside of the firing squads on valley floors, elk are far from the road. That's why we close roads before the general rifle season on public lands: Less motorized travel means better elk hunting. And Forest Jobs & Recreation passing out of the Senate Energy & Natural Resources Committee means better opportunities to hunt, fish & earn a paycheck so long as Congress can keep this momentum going. Well done, Senator Tester. Keep fighting. 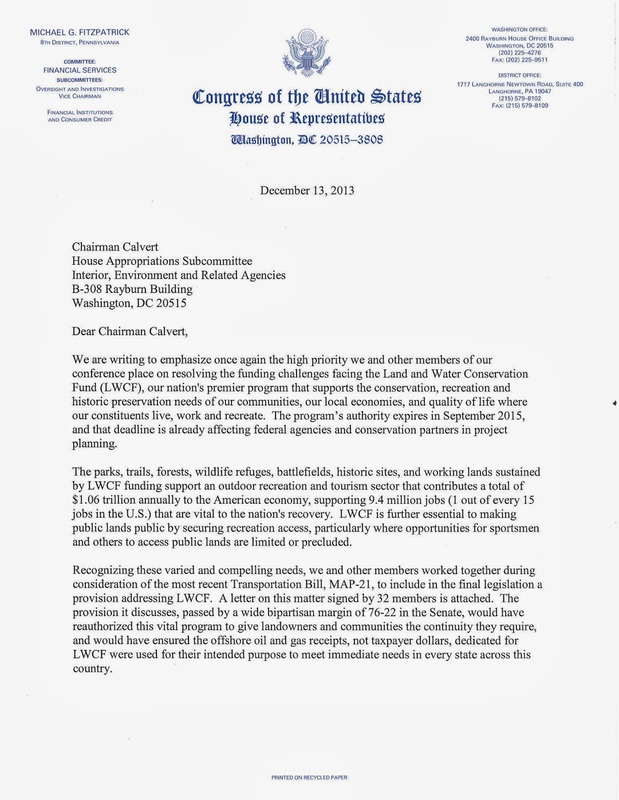 Congressman Steve Daines is stepping up to the Plate and has signed on to a "Dear Colleague" letter with other members of Congress, calling on the House Interior Appropriations Committee to support the re-authorization of the Land & Water Conservation Fund. We heartily approve, and extend our sincere thanks for stepping up for public lands and public access. Public Land management has never been a walk in the park. Draconian budget cuts, disease, continuous lawsuits, wildfire, and the everyday disagreements that Americans have over how these lands that are owned by all of us are managed routinely make headlines not only in Montana, but across the West. The latest fad from State Legislatures is to demand that the Federal Government turn over public land to the states so that they can increase short term economic development and reduce conservation regulations designed to ensure that multiple use actually means multiple use. Montana has been swept up in this resurgence of the old Sagebrush Rebellion. During this last session, the Montana legislature, following the lead of states like Utah, Wyoming and Idaho, passed a resolution to look at federal land management, and while nobody is openly admitting it, taking the public out of our public lands. · Camping: The state allows you to camp up to two days on State Trust Lands. That fight was hard won just a few short years ago. At one time, we couldn’t even camp on state land. Now, while restrictive in nature, we can finally camp on lands we pay taxes on. On Forest Service land, you can now camp up to 16 days in most areas, 14 days during the hunting season. · Fire: By transferring the lands from the Federal Government over to the State, the state would have to pay for the firefighting on those lands. In 2010, on the bitterroot National Forest alone, that was $80 million. In order to achieve the kind of money needed, taxes most likely would have to be raised on homeowners and quite possibly, our income taxes. It’s not much of reach to see the state of Montana spending billions of dollars in fighting fires, especially in the wildland-urban interface. · Short Term Gains that come from intensive oil and gas development and timber sales over long term profits that come from the sustainable management of public lands that leads to long seasons and increased wildlife abundance are touted as the best method of economic development: The State Trust Lands, so called because they are held in trust for the schools of Montana, are constitutionally mandated to garner the highest return for the state. That means often times that extractive uses are given priority over wildlife management, clean water and sensible extraction. While there is some debate as to how that economic model works for the long term, hunters know that often times, leased state ground can be unproductive when it comes to finding game on it if not managed properly. It’s also easier to close down state land to multiple use based on leasing conditions, crops, timing of livestock grazing, etc. · Increased cost to Livestock Producers: Currently, the BLM & US Forest Service charge $1.35 per Animal Unit Month (The volume of feed it takes to sustain a cow/calf pair). Current state rates for livestock grazing are approximately $8 per AUM. That’s a significant increase in operating costs for Montana’s livestock producers. It also could man the difference between a profitable year and one where the profit margin sinks to negative numbers, resulting in the subdivision of critical winter range. While it may seem odd for a hunting & angling blog to advocate for subsidized grazing, the truth is this: The impacts to wildlife by having public land grazers subdivide or sell off the family homestead to rich out-of-staters means less hunting opportunity for the average Montanan. · Logging: While logging state lands remains mostly profitable, the overriding talk has been how the state isn’t as tied to the lawsuits that plague a lot of timber sales. Unfortunately, this rhetoric isn’t entirely true. State Timber sales still hve to comply with the Endangered Species Act and other federal regulations related to clean air & water. They also have to go the MEPA (Montana Environmental Policy Act) process, which is less onerous than the National Environmental Policy Act. However, having the state administer these millions of acres would still grow state government exponentially as well not necessarily curb lawsuits. · Decreased Motorized Travel: State Trust lands are usually more restrictive in terms of allowing motorized travel than a lot of Forest Service lands. 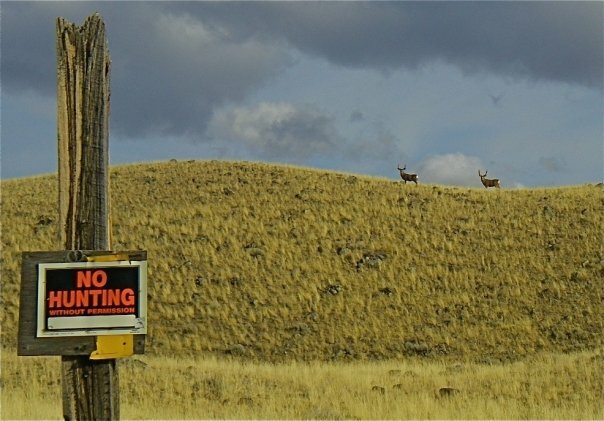 DNRC lands are generally off limits to motorized routes unless explicitly stated and even then, the public is cut out of the discussion unlike on Federal Lands, which have to go through public travel planning processes. The voice of the average hunter is lost in the mix when it comes to travel management on state lands. Lessees are given priority over hunters and anglers. It’s just how things work folks. In the end, when the twists and turns are explored, the real motivation comes out on these type of studies: Sell public land for short term gains. That’s unacceptable to a majority of Montanans. Throughout the study, “expert” witnesses have been called by the committee to talk about why we need less public land or why the Federal Gov’t should give the states land held in trust for all people. 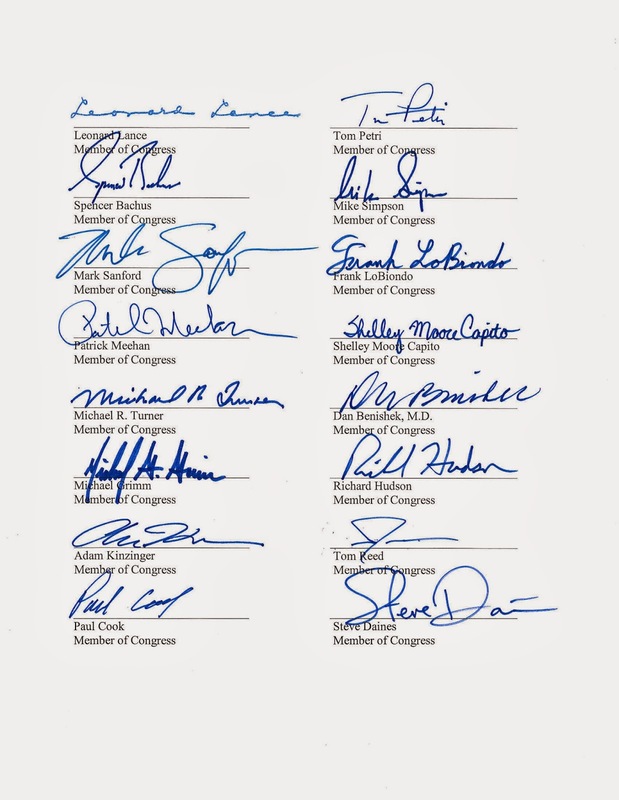 This study committee has yet to ask for the opinions of the thousands of small business owners who rely on public lands, public land hunting, fishing and recreation or clean water for their livlihoods and jobs. 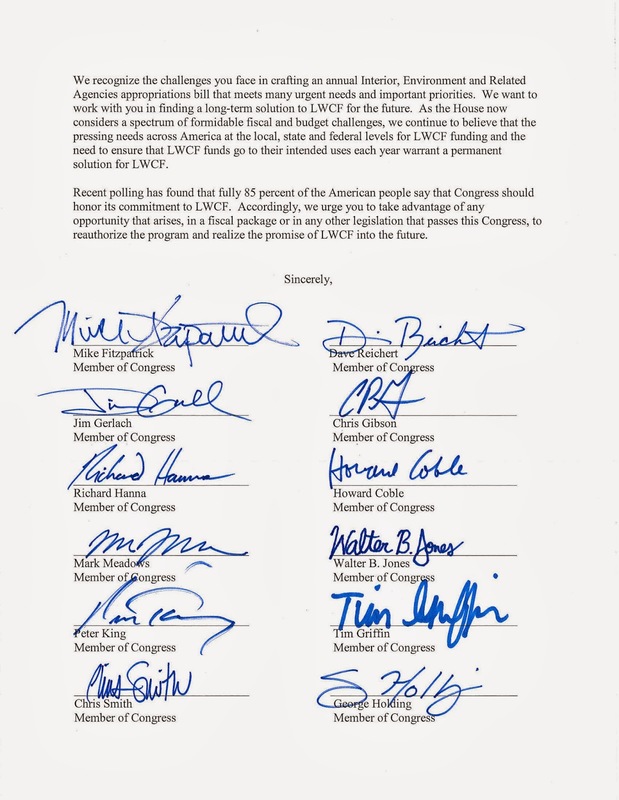 It is unconscionable that a legislative committee hold a study and not invite the largest users of public lands to voice their opinion. When studies like this occur, it makes folks think that the outcome is pre-determined: Sell ‘em off, eliminate opportunity for the average Montanan and reduce the economic diversity of our state. We’ll be there to make sure Dr. Nie’s prophesy comes true. Will you?